I travel a lot with the kids and I have purchased a lot of things that make life a little easier. 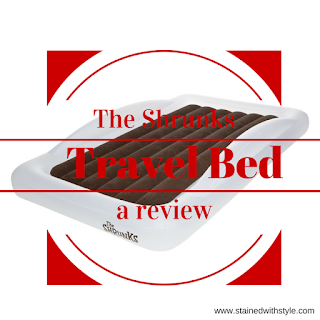 Some of those things miss the mark, but the Shrunks bed is awesome! I purchased the twin size for the Honeybadger, but honestly wish I had gotten the toddler. It would easily accommodate her length (even today) and it is much smaller to travel with. I was able to find mine on sale at Zulily. I love a great deal! 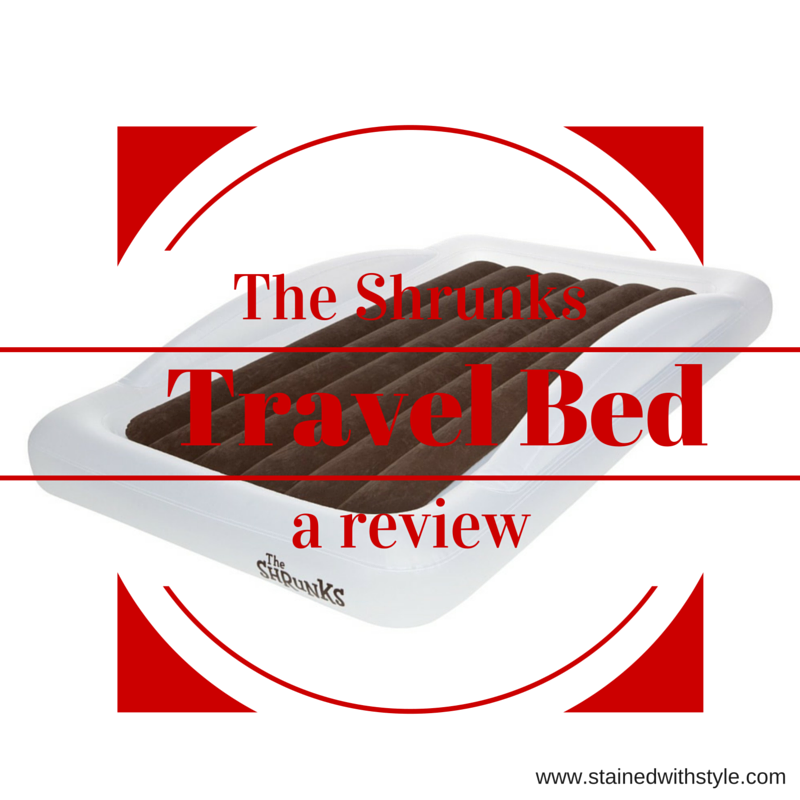 The Shrunks mattress has built in inflatable rails! Yes, you heard me correctly. Both sizes, twin and toddler have built in rails. Unlike traditional air mattresses, these really are built for kids comfort and safety in mind. The toddler mattress takes standard toddler sized bedding and the twin can either take a twin sized sheet (inside the inflatable rails, or a full/queen sized sheet over the whole thing!) So easy! Mine came with a built in pump, like a champ! No wondering where you put the pump 8 months ago when you came back from the overnight at Aunt Betty's. The bed rolls up and fits in a little travel bag. It weighs 10 pounds, so keep that in mind if you plan to check it. Those pounds add up! Because of its compact size, it's easy to chuck in the car for a trip to Grandma's house when you don't want your kids on the floor. Shrunks also has a line of inflatable mattresses that are designed for outdoor use and you have he option of buying the bedding directly from them. They also have these super cute rolling bags! Bottom line: if you travel a lot (especially by car) to locations with unknown carpet quality, this mattress is great. I haven't tried the outdoor one, but I'm sure they are just as nice. Due to the weight, unless you are flying Southwest or plan to ship ahead in a box, it may not be as convenient to take it on a flight. My favorite part? The lack of super yucky chemicals. They are Phlalate, BPA and lead free!